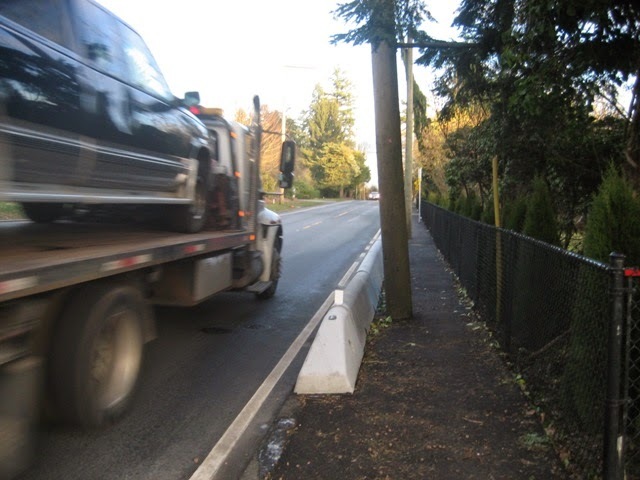 We at HUB were unaware that neighbourhood consultation on traffic calming for River Road had taken place in November 2014, until someone posted some photos on our HUB Maple Ridge Pitt Meadows facebook group of the barriers that have been put up recently along River Road. 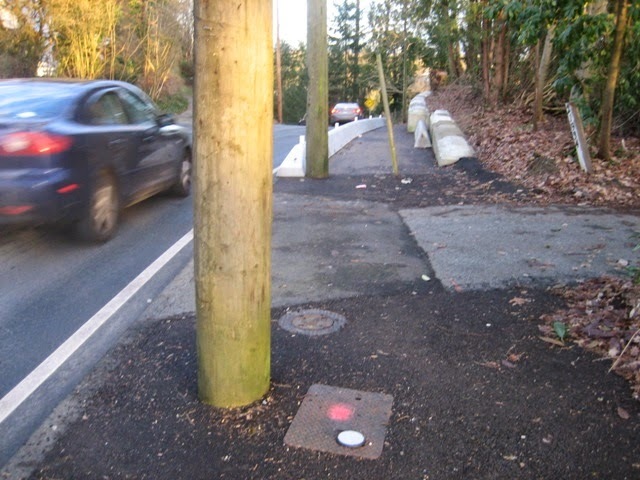 Someone else just today noticed the display boards from the neighbourhood consultation that are posted on the Maple Ridge website. As you know, River Road is being used as a fast commuter route by cyclists. Safety for cyclists has long been a concern though, with few cyclists other than the "strong and fearless" being brave enough to use this route. Safety for cyclists has now become an even greater concern, as the barriers have caused some drivers to exhibit an even more aggressive behaviour towards cyclists. As you know, the nearest east-west long-distance commuter route is Lougheed Highway, which is even more dangerous. The next one up, the Selkirk route, is unsuitable as a fast commuter route due to the many stop signs. 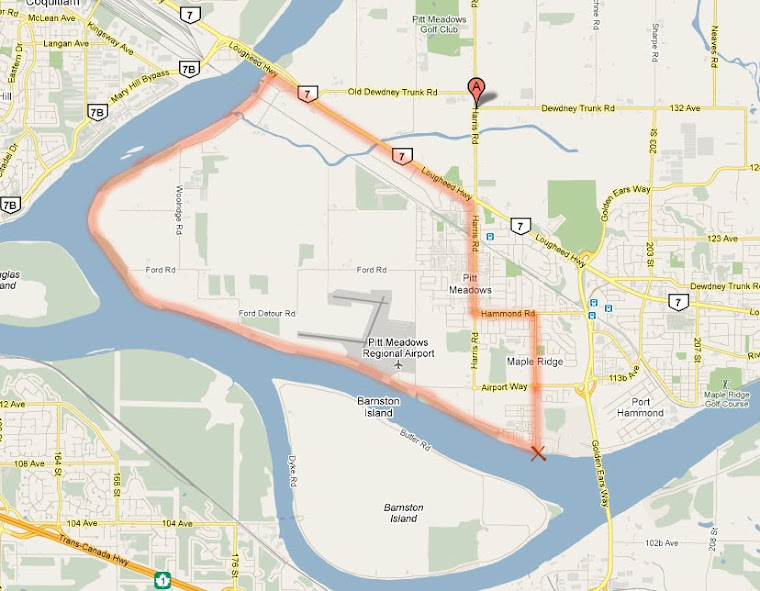 Dewdney, the next closest east-west route, is even more dangerous than both River Road and Lougheed. It is unreasonable to expect cyclists to ride as far north as the 121- or 123 bikeway to find a safer commuter bike route (distance at 216th: 1 km to 121 route, 1.3 km to 123 route; at 207 St 1.6 km; at 224th 1.1 km to 121 route and 1.8 km to the 123 route , with a very steep hill). For this reason, it is important that cyclists' concerns are considered with regard to any traffic calming measures on River Road. These are the absolute minimum requirements to - marginally - improve safety for cyclists on River Road. 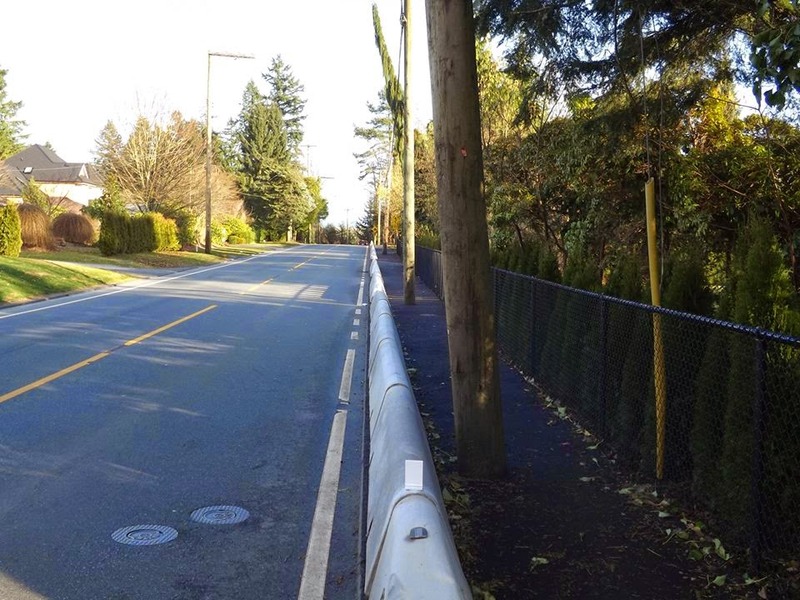 River Road was clearly designed to be a low speed, low volume residential road. Too many drivers are choosing River Road to avoid the traffic lights on Lougheed. To reduce rat-running, and to reduce the present traffic volumes that are not appropriate for this type of street, we would like the City to consider allowing left and right turns only at 216th or Laity Street, except for bicycles, through the use of bike-permeable diverters. It is important for cyclists to have a fine grained network with lower traffic speeds that can be shared with cars, whereas drivers should be offered a coarse grained network of arterials for higher speed driving. It's important to preserve - and where possible improve - the few east-west routes cyclists have, in order to offer cyclists as well as pedestrians a truly multi-modal transportation network.